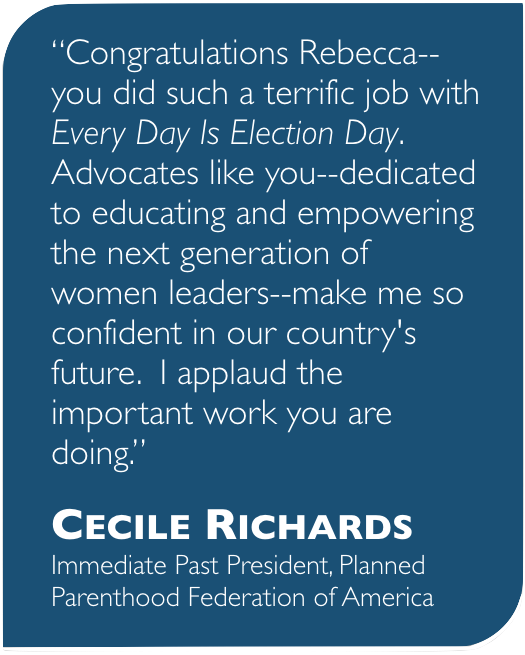 Here is the latest call-to-action from Cecile Richards of Planned Parenthood. Please read, and take part. And, if you are in Washington, D.C. on December 2nd, there will be a major rally at The Capitol; see below for details. Don’t let the anti-choice Stupak amendment become law. You’re furious, and we hear you. Tens of thousands of Planned Parenthood supporters have expressed disappointment, sadness, and anger since the House adopted the anti-choice Stupak abortion ban to its health care reform bill. Believe me, I’m just as angry as you are. And I want to take the outrage that supporters of women’s health are feeling and turn it into action. If we join together, we can still stop the Stupak ban and other efforts to undermine choice. The first step is simple, but it will be effective: sign our petition to President Obama, Senate Majority Leader Reid, and Speaker Pelosi. If the Stupak ban becomes law, it will outlaw private abortion coverage for millions of women and prohibit coverage in the public option. That means that millions of women who currently have abortion coverage will lose it — and millions more will be locked out of the comprehensive coverage they have long deserved, even if they are paying for the entire cost out of pocket. It will be the most far-reaching restriction of abortion access in decades. We have to stop it now. When you speak out, lawmakers listen. [Last] Sunday, I asked Planned Parenthood supporters to contact President Obama and ask him to stand up for women — and more than 30,000 of you answered the call. The next day, President Obama reaffirmed his commitment to women’s health and stated plainly that Congress must pass a health care reform bill that does not impose any further restrictions on women’s ability to choose a health plan that meets all of their health care needs, including abortion care. Now, our focus turns to the Senate. We are demanding that Senate Majority Leader Harry Reid ensure that language similar to the Stupak ban does not become part of the Senate bill. Help us make it clear that the Senate must protect women’s access to complete reproductive care, including abortion. Those of us who support women’s health and right to choose must come together and demand that women be treated fairly under health care reform. We need to tell our leaders — including President Obama, Majority Leader Reid, and Speaker Pelosi — that women must decide for themselves what kind of insurance coverage they can buy and what kind of health care they need. http://www.ppaction.org/campaign/future/ii5n38i2p77k37xd?source=hcr09foc_e1_ppol — and know that this is just the first step in what will surely be a long fight for women’s health. leaders: health care reform must protect access to abortion coverage. I hope you’ll stand with us, today and throughout this crucial campaign. (C)2009 Planned Parenthood(R) Federation of America, Inc.